To say our culture has gone to Hell in a handbasket is like saying the sun is hot. Every day, and sometimes it seems like every hour, there is a new example that is enough to make you want to pack up and leave the country. In the past few weeks it seems like that handbasket is speeding up. In the political world, which shockingly isn’t remotely close to the worst parts of what is happening in the country right now, things keep finding new and creative ways to devolve into the absurd. The latest example is the story of how the National Security Agency wasted $100,000 of our tax dollars trying to “buy” compromising information from an alleged Russian agent about President Trump. The information didn’t exist (the money did), but the details of what is was supposed to be are straight out of Congressman Adam Schiff’s dreams. But this isn’t about politics, the current political climate is what grows out of what the culture as a whole has become. And while every generation undoubtedly had valid complaints about the pop culture of their time, there is no way, even in the era of bell-bottoms and pet rocks, the popular culture at the time was a dumb as it is now. People are filming themselves eating laundry detergent and posting the videos online, because being stupid for attention is now something people aspire to. First off, if you’re dumb enough to eat poison, the genepool can do without you. That may seem harsh, but it’s coming from a place of contempt. 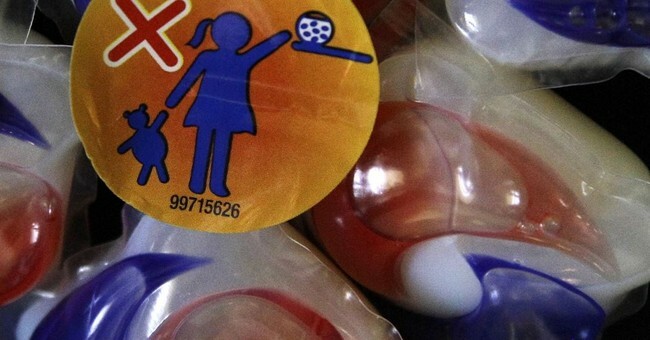 Second, states are now considering legislation to make Tide Pods less delicious looking. If you’re an adult, or old enough to know you shouldn’t eat laundry detergent, and still choose to do it because it has bright colors, you’re probably going to be killed making out with a light socket or taking a nap in traffic. This is the kind of dumb that is lucky breathing is a reflex, because they’d forget; the type of stupid Velcro shoes were created for. Perhaps that will offend some Tide Pod Challengers, but it’s unlikely they can read anyway. Speaking of stupid people posting videos online, there’s YouTube celebrity Logan Paul. He posted a video of a Japanese man who’d hung himself and mocked, which was dumb. He caught Hell for it and apologized. OK, fine. Then he posted a video of him telling his subscribers to engage in the Tide Pod Challenge and another of him using a Taser on a dead rat. Again, there’s a lot of stupid to unpack here. One, that there is such a thing as a “YouTube celebrity” makes me think our society needs to collapse already. Two, it’s unlikely people who wait with baited breath for the next Logan Paul video do so in between filling out Ivy League college applications, so they’re probably already checking out the snacks in the laundry room. Three, when your world comes crushing down on you for being flippant about a dead body, you probably want to stay away from dead things and not be seen engaging in the desecration of any living or formerly living thing. Worst of all, from his idiotic videos this moron was reportedly raking in $1.2 million PER MONTH from ads embedded in them. Again, maybe society deserves to collapse. Not to be outdone, the news service Reuters actually published a piece wondering if there is a glass ceiling in dog shows. No, I’m not joking. Why? Because male dogs apparently win twice as often as female dogs, according to people with far too much time on their hands and, apparently, a desire to check out the undercarriage of dog show dogs. Then there is the college identity obsession making its way into the working world. One of the simple joys of living in a time of the Social Justice Warrior is the idea that these pampered puppies will be smacked across the nose after graduation with the rolled-up newspaper of life when they eventually find a job and realize their degree in patriarchal oppression with a minor in drum circling aren’t exactly marketable and no one in the office cares about their feelings. They’re there to work, not emote. Don’t worry, normal people aren’t being impacted…yet. There aren’t going to be “safe spaces” in factories anytime soon, but probably eventually, if this isn’t stopped. And then there are the liberals excited about the Black Panther movie. I love the Marvel movies, each has been very entertaining. But some people are too excited, stupid-excited. That Salon would try to hijack something popular is not surprising, they need clicks. But people got upset when the movie got its first negative review. The reason for it is the reason for everything that doesn’t go the way liberals want: racism. For those of you who are unfamiliar with the movie or the comic books on which it is based, Wakanda is a fictional African country, which would make not only colonization difficult, but a vacation fairly unlikely as well. Oh, and the character was created by two Jewish men, Stan Lee and Jack Kirby. They’re probably racists because everybody is racist, right? I don’t claim to be a biblical scholar, but I’m fairly certain this rabbi isn’t either. Like I said, incredibly stupid times. Then there are the emotional support peacocks and hamsters, because the only thing missing form these obnoxious, demanding people is something with no ability to control its ability to go to the bathroom. Maybe someday we’ll return to a time when simply getting attention required actually doing something, where people don’t eat poison as part of a “challenge,” where segregation is bad, where no one cares about the gender of animal beauty pageant winners, you can just go to the movies because you want to see the movie, and the government isn’t wasting our money chasing down myths to discredit a president. And maybe, one day, we’ll all look back at this and laugh. Telling the new Marvel movie has as its setting a fake successful African run country. Because a real one is nowhere to be found. Also quite humorous that the story is made up by two Jews. the type of stupid Velcro shoes were created for. Down is up/up is down. Society is in steep decline with little chance it won't ultimately collapse during our lifetime. I'm just happy I was able to live during a time when we DID have a stable society. Today things are NUTS man! I was terribly disappointed with the Planking fetish died out. Nowhere near enough people got to the level of Planking on moving vehicles for my taste. That is why we need our 2nd Amendment rights. If things do not turn around, firearms will need to be used for self defense from the unwashed masses. In other words I am of the opinion that life is what you make of it. There's not a day that goes by that I don't curse the immoral thoughtless mouth breathers and their destructive and annoying antics but a day also doesn't go by that I am not thankful to live in an amazing era, among amazing people with plenty of bessings. Also just because it looks like we're outnumbered doesn't mean we are. We are living during a time of a New Epoch. Hold tight to the positive things around, count your blessings and live free. The truly wondrous can be seen. The common man now lacks good thoughts. Everything proves short of expectation. Could the common man know why? Only a cultivator can unlock the puzzle. Layer upon layer, each with its Heaven and Earth. But the common man is too lost, caught in delusion. For cultivation is like climbing steps. he makes karma all his life. he builds up virtue all his years. mostly agree with op's observations. that's the easy part. how fix? You are ruining my hate sir! Cease and desist with your optimism at once! I like to be realistic, that's usually what pays. Unfounded hope and unwarranted paranoia are both anti-truth. What? How fix? That's the easy part,. It's right there in your handle. I tried that and it is pure misery. Dialectics. If they would have just left things to collapse in 2008 and have gone through a proper and cleansing Depression, none of this crap would be going on. And thy can continueth down yonder blvd.